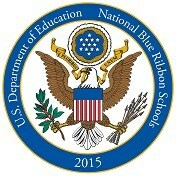 The United States Secretary of Education, Arnie Duncan said, November 22, 2013, “National Blue Ribbon schools represent examples of educational excellence, and their work reflects the belief that every child in America deserves a world-class education." Read below to understand better why The OLC School achieved the Blue Ribbon Award, and is providing a world-class education. Our Lady of Czestochowa School (The OLC School) is a thriving Catholic elementary school, located in the Downtown area of Jersey City. The OLC School educates students from Tiny Tike 2 through eighth grade. It is our mission to shape minds for a brighter future, by encouraging each child to grow as a spiritual, moral, and intellectual individual. The OLC School embraces and implements the tenets of the Responsive Classroom Approach, while also staying true to our faith based identity. It is our desire that all students experience a sense of belonging, feeling like significant members of the school community. The robust curriculum at OLC provides a sound base for students to meet and exceed expectations. Guided by core curriculum and Archdiocesan guidelines, teachers effectively teach each curricular area, using a variety of instructional strategies and best practices to support student learning. A well-balanced approach is used in the selection of instructional methods, with an emphasis on curriculum integration. Connections are made through STREAM/PBL, to promote deeper critical thinking. Technology is incorporated into the classrooms, where SmartBoards, iPads, and document readers are readily available to put the power of research at students’ fingertips. At The OLC School, partnerships are formed with local community groups for the benefit of the school community, some of which include parent groups, local universities and a variety of outside agencies. There is also a powerful leadership team, PSA (Parent-School Association), comprised of parents, that works closely with the school to raise funds and support the school in every way it can.